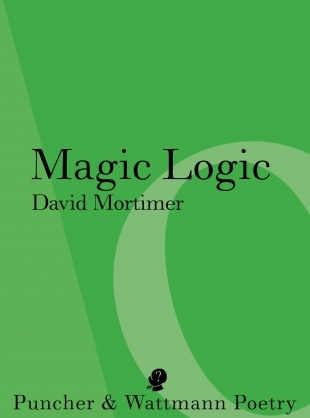 Magic Logic by David Mortimer. Puncher and Wattmann 2013. Magic Logic was launched by Judith Beveridge at the Friend In Hand Hotel Glebe on on 22nd June 2013. This is a delightful book. There is a terrific refinement of sensibility working in David Mortimer’s poetry. David seems able to get to the heart of a matter by application of mind and an astute discernment and selection of details. These details are often small evocations of a time and place which carry with them a great deal of tonal atmosphere and feeling. Reading David’s book, what struck me time and again was the acute and loving attention he pays to his syntax, to his diction, to the cadences of his lines. This is beautifully composed poetry. He lingers on things and the words for things, delighting in their sound and texture, and often in the longer poems, building up crescendos and graceful flights of musical expression. It’s no wonder quite a few of David’s poems are about music or composers, as he is himself a poet who sings and who plucks his lines like melodious strings. David’s poems have that admirable ability to grow out of their own emotional necessity. Many of these poems seem to rise to discoveries of – and are themselves – epiphanies. And who cares if her socks will be wet all day? If he gets a cold? Time and again David’s poems work to discover value and meaning in the world through the redemptive power of perception, observation and imagination. These poems carry the undertow of an engaged, intelligent mind operating with a grounded and responsive heart. These poems are written out of a respectful, almost humble attitude towards the world of others and towards the dailiness of the self. The poems are investigative and always humane. All those of us who write poetry know that the magic of the art is inseparable from its risks – that this risk is a necessary component of poetry as it performs that balancing act between reality and the imaginative force at work within the poem. It seems to me that David is a poet well able to tread that fine line. Judith Beveridge is the author of The Domesticity of Giraffes, Accidental Grace, Wolf Notes and Storm and Honey all of which have won major prizes. Her new collection, Devadatta’s Poems, will be published by Giramondo Publishing in 2014 and Brazilier Publishers are bringing out a new and selected volume, Hook and Eye, in 2014 for the US market. She is the poetry editor for Meanjin and teaches poetry writing at postgraduate level at the University of Sydney. This entry was posted in David Mortimer, Issue 9, Judith Beveridge, Magic Logic, Puncher & Wattmann and tagged Australian Literature, Australian poetry, David Mortimer, Judith Beveridge, Wallace Stevens by Mark Roberts. Bookmark the permalink.